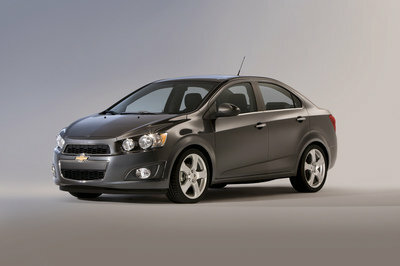 Chevrolet Sonic may be a small car, but with the right updates, it can become quite mean and aggressive. 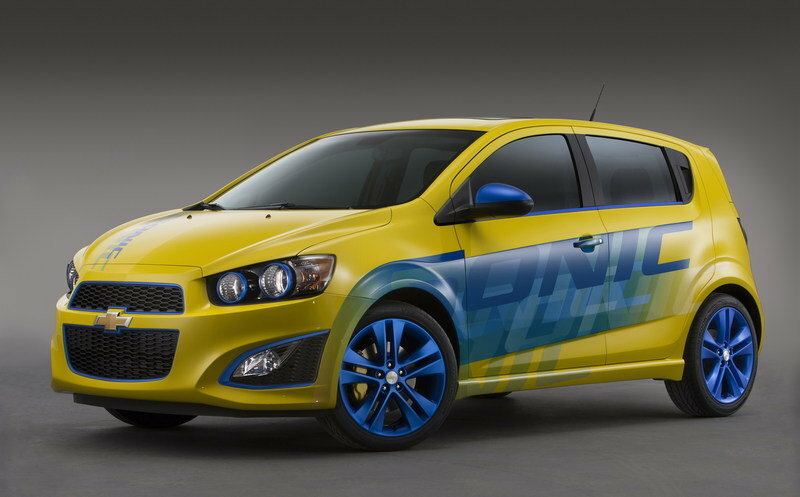 A good example is this Sonic RS Concept car that will be unveiled at the 2013 SEMA Show on November 5th. The concept was designed by Chevrolet Performance, and it previews elements that will be available at all Chevrolet dealers. 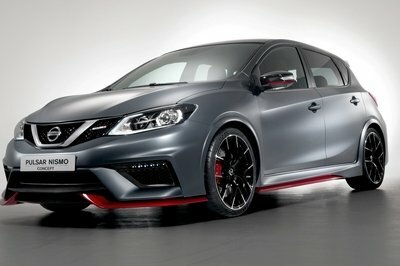 The concept was updated from top to bottom, and it includes engine performance, suspension, brake and appearance upgrades. This Sonic RS is painted in a unique Lemon Peel Yellow hue combined with blue graphics, and tinted headlamps and fog lamps. The interior gets seats in black leather with Lark Yellow contrast stitching. Under the hood, the 1.4-liter, turbocharged engine receives a Stage Kit, cold-air induction and a high-flow exhaust system that will allow it to deliver more power than its stock 138 horsepower and 148 pound-feet of torque. Chevy is keeping the output level is being kept a secret for now, but we are thinking it’ll land in the 160-horsepower range. Along with the engine upgrades, Chevy also equipped this sonic with a track-tuned suspension system that lowers the car’s ride and offers a sportier appearance. 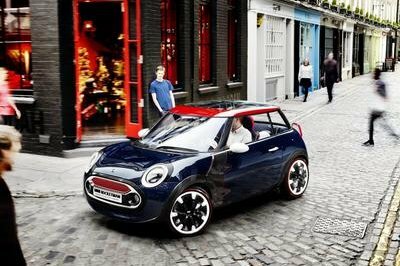 The concept sits on18-inch, split-five-spoke wheels combined with a higher-performance brake upgrade kit with Wilwood front calipers. 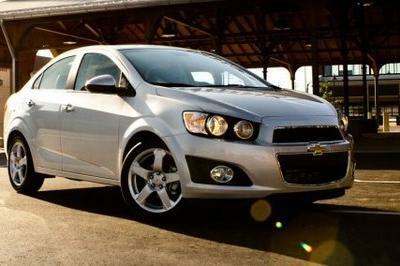 Click past the jump to read more about the standard Chevrolet Sonic. Chevrolet Sonic was unveiled on the U.S. market back in 2011 and in only two years, it became one of the best-sold compact cars on the market. 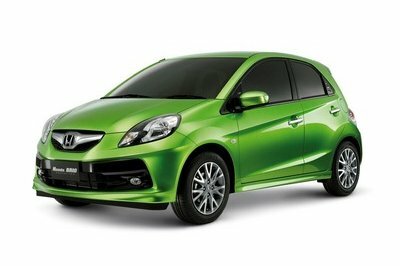 The 2014 Sonic is offered with a choice of two engines: a 1.8-liter DOHC four-banger with VVT and a turbocharged 1.4-liter engine, both of them delivering a total of 138 horsepower. 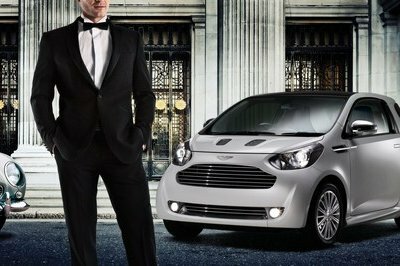 The models equipped with the 1.4 liter engine are a little bit faster though as they sprint from 0 to 60 mph 7.9 seconds, while the 1.8 versions in 9.7 seconds. Prices for the 2014 Sonic start at $14,185. This performance-oriented Sonic RS concept draws on the legacy of Chevrolet’s high-performance vehicles yet reimagined for a new generation. It features engine performance, suspension/brakes and appearance upgrades developed by Chevrolet Performance engineers and designed to be installed by Chevrolet dealers. Re-trimmed seats in black leather, with Lark Yellow contrast stitching.